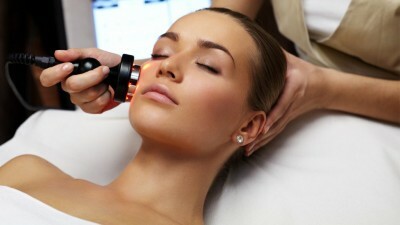 Radio-Frequency is one of the safest, non-invasive yet highly effective anti-aging treatments available today. In comparison to IPL Photo Rejuvenation facials, Radio-Frequency penetrates further into the skin reaching the subcutaneous layers. By heating the deeper layers of the skin, Radio-Frequency improves the underlying tissue structure causing tighter skin without affecting skin texture. Essentially, the heat produced during Radio-Frequency treatments stimulates collagen production and triggers tissue contraction. Primarily used to treat skin laxity, treatments can span various body parts or can be localized to a specific area of concern. Results are both immediate and progressive since the build-up of collagen promotes continuous skin contraction. Unlike IPL, which targets melanin and is therefore appropriate for only certain skin types, Radio-Frequency can be used on all skin types. As a non-surgical treatment, Radio-Frequency is most effective in patients in their mid-30s to mid-50s. For best results, 6-10 treatments at 2-4 week intervals is advanced; however, the treatment course will vary and be dependent on the age and overall skin condition of the individual being treated. Once a treatment course is completed, occasional maintenance is recommended. LOOKING FOR A GREAT DEAL? BOOK YOUR FREE CONSULTATION TODAY & TAKE AN ADDITIONAL 30% OFF OUR ALREADY DISCOUNTED PACKAGES!